Imagine a life where you casually check your Facebook reports once a week with your Friday morning coffee. You smile at the positive returns and additional profits they’ve earned for your business during the week, and before you even finish your coffee you’ve made the necessary adjustments to your advertising budget, campaigns, and strategy. You put your coffee down, close your ads manager, and move onto more important tasks: business development, nailing out new partnerships, and managing the operations and many moving parts of your ecommerce business. This guide’s purpose is to provide that lifestyle to you. Even if you’ve never touched a Facebook ad before, or if you’ve tried your hand and put it on the shelf for when you had “more time,” this guide will walk you step-by-step through the tools and systems you need to have a customized and automated Facebook Ads machine fueling your ecommerce business. It first begins with an understanding of why Facebook and ecommerce are so compatible, progresses into the technical set-up and implementation, and ends with the strategy and funnels necessary to drive long term sales. Facebook is a place where we go to connect with family and friends, and – as much as we’d like to say otherwise – to have a fun distraction. Unlike so many other ad platforms (like AdWords), Facebook is not about demand fulfillment, but instead, about demand generation. On Facebook, businesses generate curiosity, interest, and – eventually – sales of their product. Most people on the app aren’t “searching” for a product that will add more value to their lives; they’re searching for that next funny or emotional status update. For you, as an ecommerce store owner, Facebook is your theatre to display your product to the world. It’s an opportunity to showcase the additional value you can bring to someone’s life. It’s a place where you can reconnect with previous customers and a venue where you can start new relationships with people who would have otherwise never even seen your business. In 2015, retail ecommerce sales worldwide amounted to 1.55 trillion US dollars and are projected to grow to 3.4 trillion US dollars by 2019. In the USA alone, according to the US Census, ecommerce has grown 12% in just Q2 of 2016 alone, and over 24% in the last 2 years. In other words: it shows no signs of slowing down. 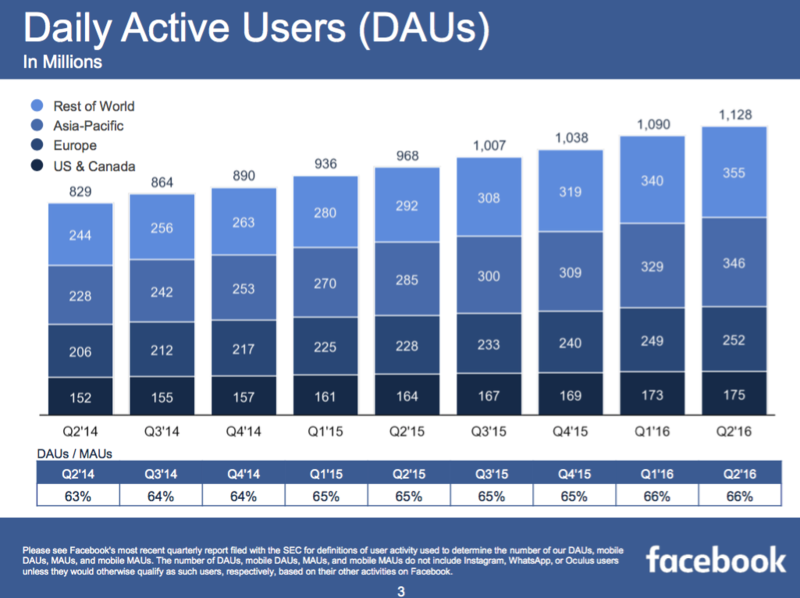 Combine that with Facebook’s Q3 2016 results: 1.79 billion monthly active users, and almost 1.2 billion daily active users, and you can begin to see the simultaneous trend of explosive growth. There’s more people on Facebook than there were alive 100 years ago (source: Mark Zuckerberg’s Facebook profile). 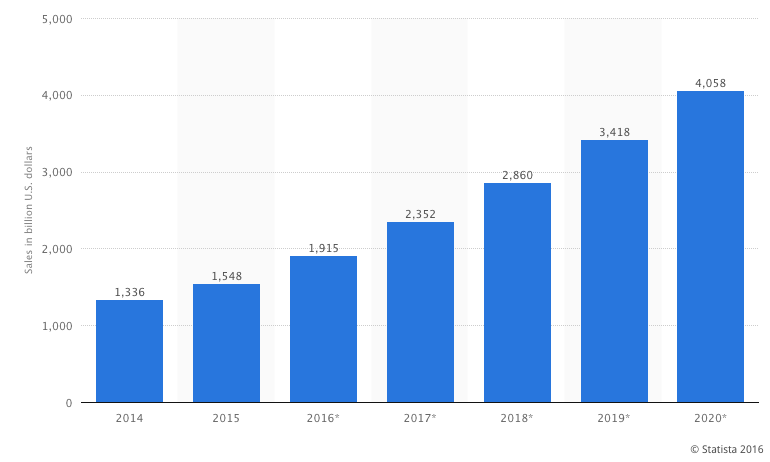 So while the growth of both ecommerce and Facebook is undeniable, the real question is this: how can you connect these two platforms together and grow your business?